Though raccoons may be cute, there is no place for them in your yard. These wild creatures can inflict a lot of damage on your yard and home, if allowed access. Call your exterminator serving Pleasanton, CA for effective pest control tips and tricks you can utilize. Watch the video for more tips to repel raccoons from your yard. You should always keep your garbage can sealed. This will repel raccoons, and it will also be an effective method of rodent proofing. Sprinkle strong spices around your yard and the places you have seen raccoons. This raccoon and rodent proofing method will not harm these animals, but they will be unlikely to return to that location. You should never feed raccoons or provide them water. These resources encourage raccoons and rodents to make your home and yard their new home. What Can You Do to Keep Rats Away from Your Home? If you’ve had to deal with a rodent infestation in the past, then you’re probably eager to find ways to prevent a recurrence. Rat proofing near San Jose can be done by following a few simple steps for keeping unwanted rodents out of your home. Once the weather begins to cool, homes become especially appealing to rats. To prevent an infestation this fall, take some time to look carefully over both the interior and exterior of your home for any spots that could be used for entry. Common culprits are holes around pipes, vents with torn screens, and damaged roofing. Also, check behind furniture and appliances to be sure that there are no holes in your walls. Next, take a look at any trees and foliage that reach near or over your roof. Shrubs and branches create any easy path for rats and other rodents to access your home and should be addressed for thorough rat control. An essential step in rat proofing your home is to remove access to any items that rats might want to eat. Any food that is not stored inside of your refrigerator or freezer should be sealed in glass or heavy duty plastic containers. Next, go outside and take a thorough look at your property while keeping an eye out for anything that might be a source of food for the rodents. This can include unsealed garbage cans, compost piles, bags of pet food, and bird feeders. Once you’ve covered these bases, consider contacting a rodent control company if you still harbor concerns. These professionals know what to look for when rat proofing a home, and should be able to point out problem areas that you may have missed. If you’re concerned about the use of poisons and chemicals, this shouldn’t be a problem. Today, there are rodent prevention companies that use control methods which should not pose a threat to your family and pets. When you notice wildlife damage on your property, it can be difficult to identify the perpetrator without seeing it in action. Many animals, including skunks, are primarily active at night, so catching them red-handed can be challenging. If you’re wondering if you need help with rodent removal near San Jose , watch for the signs that can indicate the presence of a skunk on your property. Three to four-inch holes in your garden or rolled back sod can mean skunk activity because these animals often damage lawns while on the hunt for grubs. You may also notice a faint, unpleasant smell in the area. 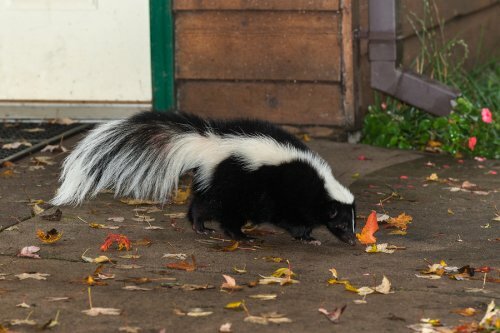 Even when they don’t actively spray, skunks can leave an odor in their wake. If you catch a whiff of skunk-like odor around your yard, then one may have moved in and it might be time to look into rodent control from an exterminator. Another sign that you may have skunks living nearby is if dogs suddenly begin barking at night, possibly having spotted a skunk out on its nightly rounds. If you’re unhappy with the idea of sharing your yard with a skunk, contact your local exterminator company about rodent removal services. Is Your Home Ready for Rodent Removal? When you have a pest problem, you want to eliminate it as quickly as possible. 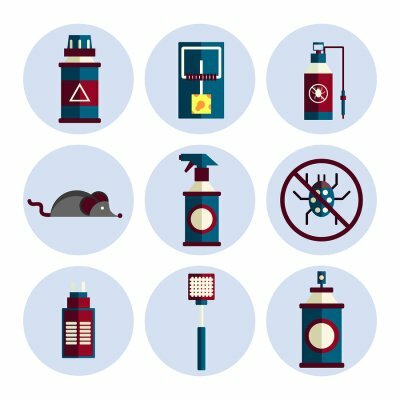 If you’re expecting a visit from a pest exterminator in San Jose for rat or mouse removal , there are a few things that you should take care of before your appointment. In the days leading up to your rodent removal appointment, talk to your family and compile a list of locations where signs of pests have been spotted, such as tracks, droppings, or rodent sightings. This list will help your exterminator create a plan for handling the removal. 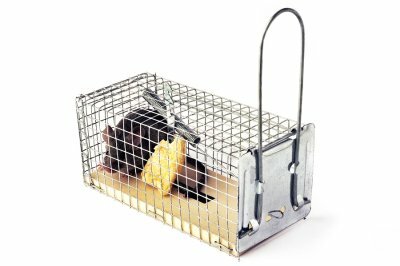 By knowing where the mice or rats are living and feeding, he will have a better idea of where to place traps. The list that you make will also be helpful in proofing your home. It’s important to know what you need to do to keep the rodents out of your house following the removal. 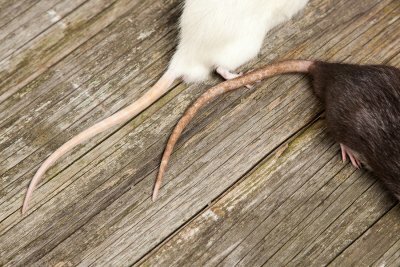 If you fail to address the issues that attracted the mice or rats and allowed them to enter your home in the first place, you may have another rodent problem on your hands in the near future. Examples include unsealed vents and food sources. As soon as you know that you have a rodent problem, it’s important that you seal up all of your food containers in glass or heavy-duty plastic. This will help drive the rodents from your home and prevent recurrent infestations. Any food that’s not tightly sealed should be stored in the refrigerator or freezer. Be sure to follow this measure for pet food and bird seed as well. Also, clean up pet food bowls every night, leaving no food sources for the pests. Your rodent removal expert will need access to several areas of your home to address the infestation. Before your appointment, clean out the areas beneath your sinks, on top of cupboards, and on top of the refrigerator. Also, clean up as much clutter around your home as possible, and ensure that your exterminator can safely and easily access all areas of your home.